3D Printers. Who's got one? Discussion in 'Shiny Things' started by dorkpunch, Jan 8, 2013. Just curious if any of you have experience with the kit built printers. I'm getting ready to buy one for my classroom but am hoping to hear reviews from y'all! Pics, parts made, etc would be awesome too. I'm pretty settled on the Mendelmax 1.5 I was hoping to get in on the beta testing of the 2.0, but my school budget just won't cut it. As it is, I'm going to have to buy the frame kit now and then wait until the next school year for my new budget to buy all of the electronics. 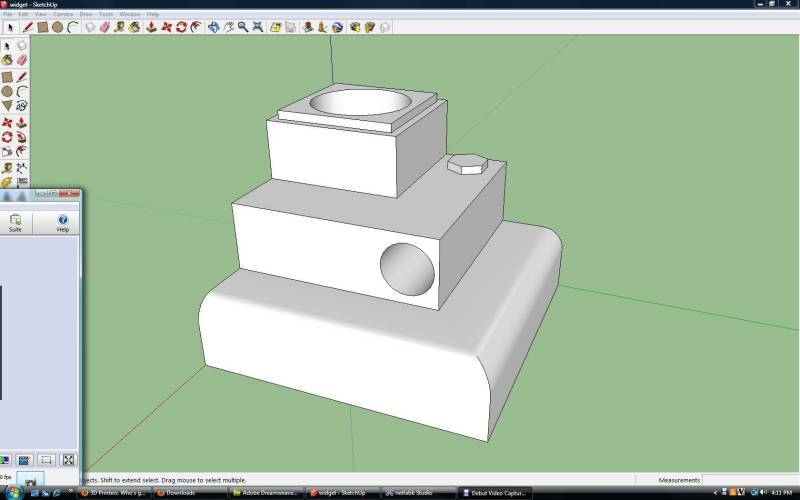 One of my main questions is how hard, if at all possible, is it to export a model from Sketchup to the printer? What specific software is required? All right. Lets see your printers! I donno about your Sketch-up question. My experience with exporting drawings across to CAM software and tools has been... frustration. Hopefully what ever controller software you get will have at least a import/conversion wizard, maybe even a rudimentary CAD editor. I'm for anyone who has gone down the DIY printing and associated headaches road to come out of the woodwork and dispense their wisdom. slackmeyer Don't mean sheeit. . I don't know much about the subject except that I use sketchup a fair bit; I'd be surprised if you find any straightforward way to export skp files to something you can print. I think you'd have to start with something like solidworks or vcarve or autocad. Good luck, I want to see what sort of projects (preassembled air engine?) your class prints out. And I'd be interested if sketchup does play well with 3d printers. SketchUp supports plugins for import / export. You'll need too find what format the 3d printer you're interested in expects, but there are sketchup plugin as for common formats such as stl. Two weeks ago, I bought SolidWorks Premium. My next step is either a CNC router or a rapid prototyping machine. My impression is that it's possible to convert SKP files to a format that is accepted by 3D printers, but you're asking for problems. You'd be better off with getting your students to learn an industry standard piece of software such as Solidworks, especially since you can get it for so cheap as an educator. Been doing a ton of research... Here's what I figured out so far. Working with a guy on ebay who has a kit with everything but the electronics. Decent price, open to offers, and willing to give educators a discount! NEMA 17 Motors- $48.32 plus $27.95 S&H. So $76.27 total. Hot-End- $54.99 plus $3.75 S&H. So $58.74 total. $185 plus $5.78 S&H. So $190.78 total. 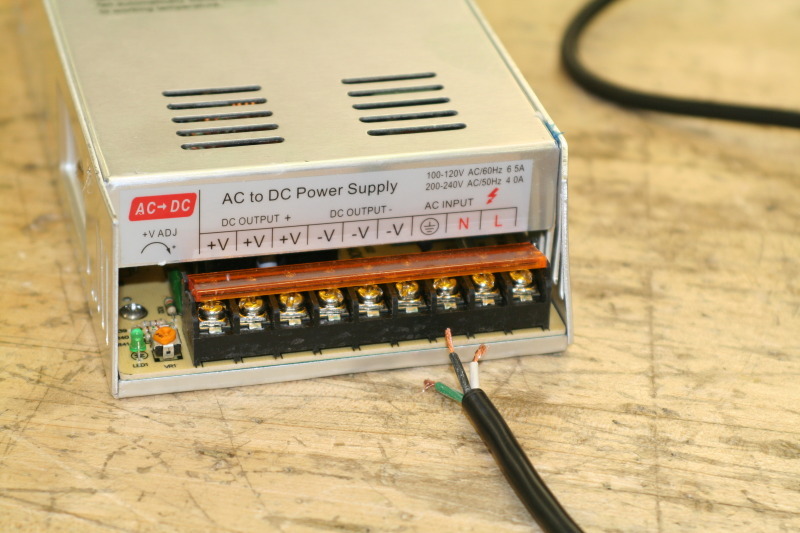 30A 12V Power Supply- $29.96 with free S&H. As far as the sketchup, I use it all the time. 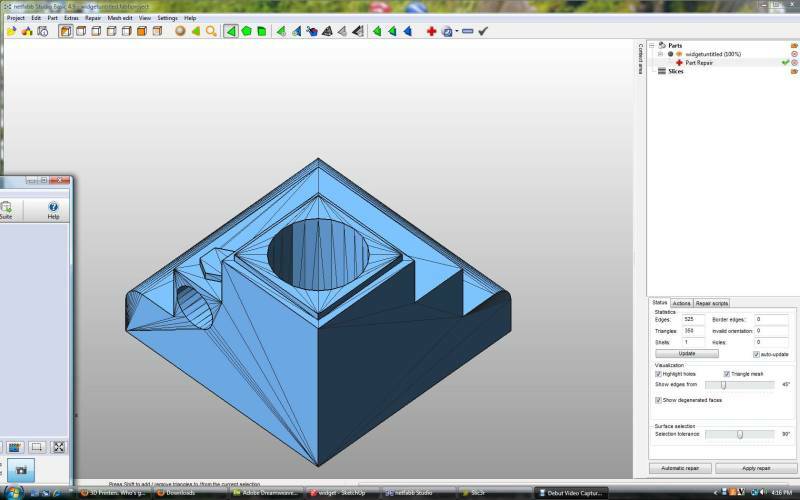 Sketchup is great for people getting started in 3D printing. I know many people that design in it. You just download a free STL exporter. So the tool chain goes like this. You design your object with sketchup. Export it as an STL. 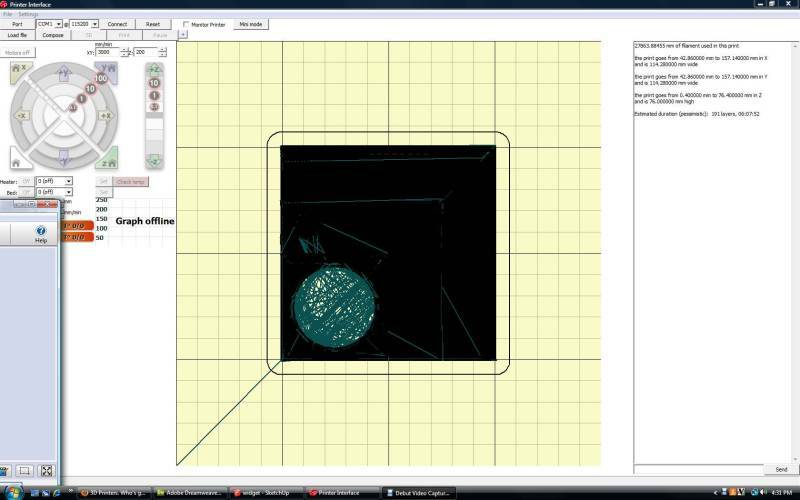 Open the STL in "Netfabb studio" and hit repair. 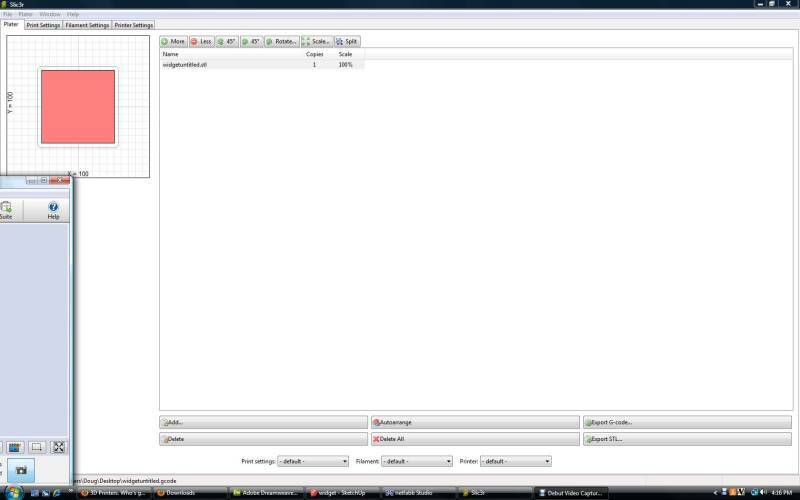 Netfabb makes the file printable. Then export the fixed STL file. Open your slicing program (I use Slic3r) and slice the STL. Now the file is a GCODE file. Now just open the GCODE in "Pronterface" and hit Print. Also have a request in to get a trial version of Solidworks. I would LOVE to have an "industry standard" CAD program, but even at $150 a seat (can't find an actual price anywhere?) that would cost waayyy to much. Maybe if I bought a couple of seats a year I could make it work, but in the meantime I'm sorta stuck with Sketchup. I'm also a little concerned about print price, but I think it will be okay. Did some rough calculations and to print a Hot Wheels size model car should theoretically cost between $1 and $3.00 depending on a few different things. Into an actual printed car. Exported it as an STL, then opened in Netfabb and clicked "repair"
Saved it, then opened it in Slic3r, and hit export gcode. 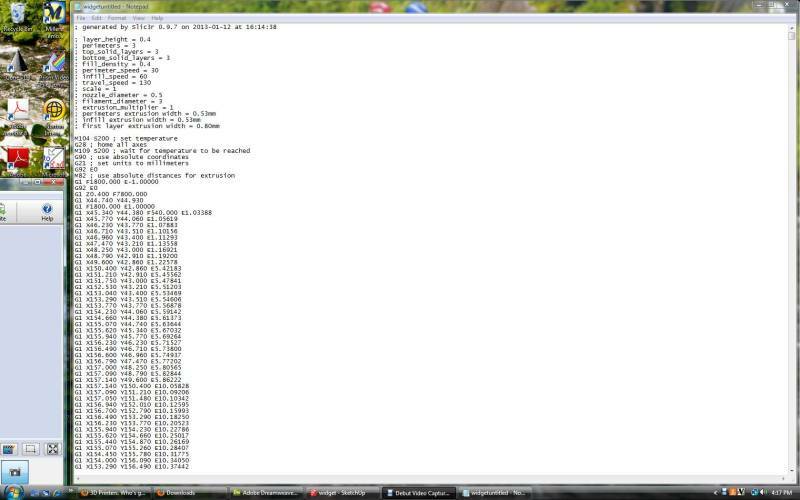 It also appears to have the Slic3r included with the zip file. Anyways, after the gcode is made, you open Pronterface, load the gcode, and, assuming you have a printer plugged in, hit print. I'm betting the options are all shaded out because I don't have a printer plugged in. Looks like it gives you all kinds of useful info- temps of nozzle and bed, estimated amount of filament used, etc.. I gone an dun it. Spent roughly $1,000 and got all the bits ordered. Sure hope I get reimbursed for this, or my family will be eating Ramen for the next 8 months. Lurking. I wanna make a chess set! Well then here's a little food for thought... Here's the cost of stuff so far. I did get a bit of a break on some things because its for a school and its a "Beta" version, but these prices are the actual current list prices. Little more info on my blog (dorkpunch.com) but not much. I plan on posting everything here and there as this project comes together. Any idea how labor intensive this kit is to set up, calibrate and keep calibrated? It really depends on what you get. The kits, especially the 2.0, look fairly easy to assemble. The electronics, at least for me, look a little daunting. I ordered most of the stuff pre-assembled, meaning I hopefully won't have to do any soldering- just running wires from motors to controls, etc. As far as calibration and keeping it "tuned", again, no idea. Stay tuned, I'm about to find out. 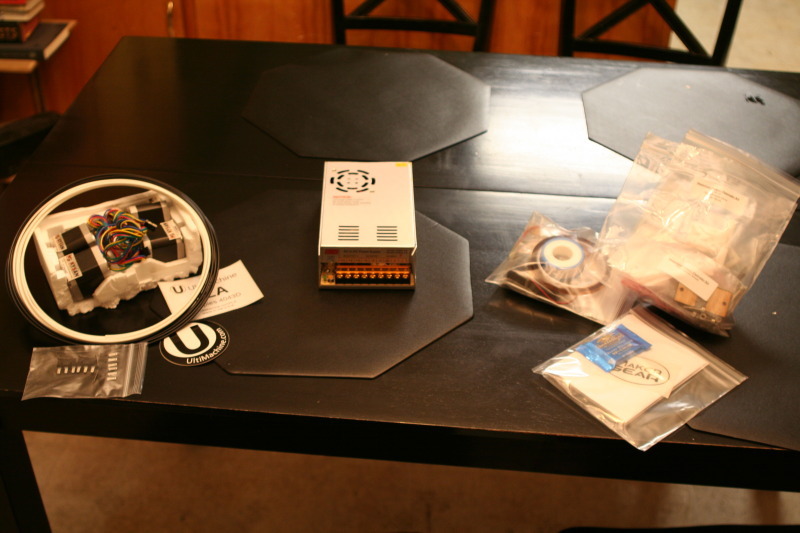 Got the stepper motors, the power supply, and the plastruder. I bought a few limit switches with the stepper motors, not sure if I will end up needing them or not. The power supply looks pretty straight forward, although it looks like it got dinged in shipping- one corner is a little bent. The plastruder... "Some assembly required". Looks like fun! The black and white coils are some sample plastic. I was surprised at how thin it is. 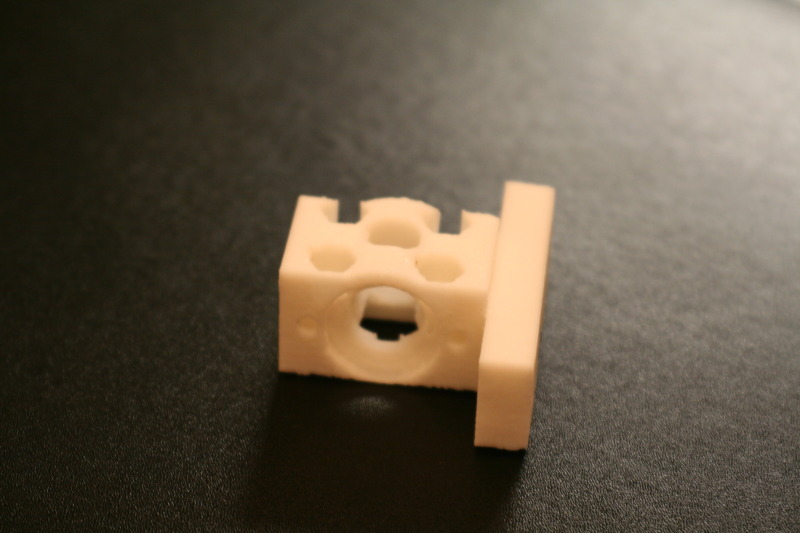 Here is what a plastic printed part looks like. Hoping to start assembly on the plastruder tonight, but we'll see how it goes. We looked at getting one, but they are so slow, so it would be hard to develop student projects around a 3D printer. 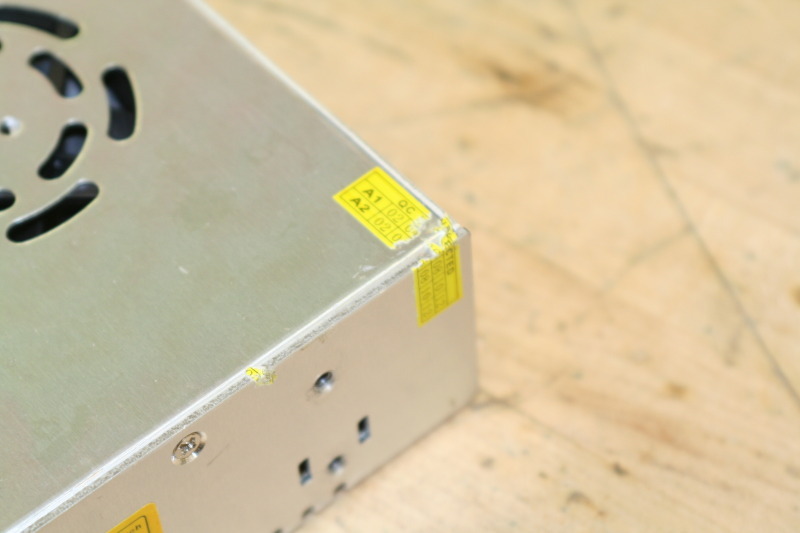 However, if you need a special part, that would be really hard to make, it's the way to go. I might have another look at one soon. We have a laser cutter, that is getting a lot of use, but it was really expensive. I am keen to find out how you'll get on with yours. That's the one I'd be going for. Started putting pieces together. Power supply is pretty simple, all I had to do was cut the end off an old computer cord I had laying around and wire it in. 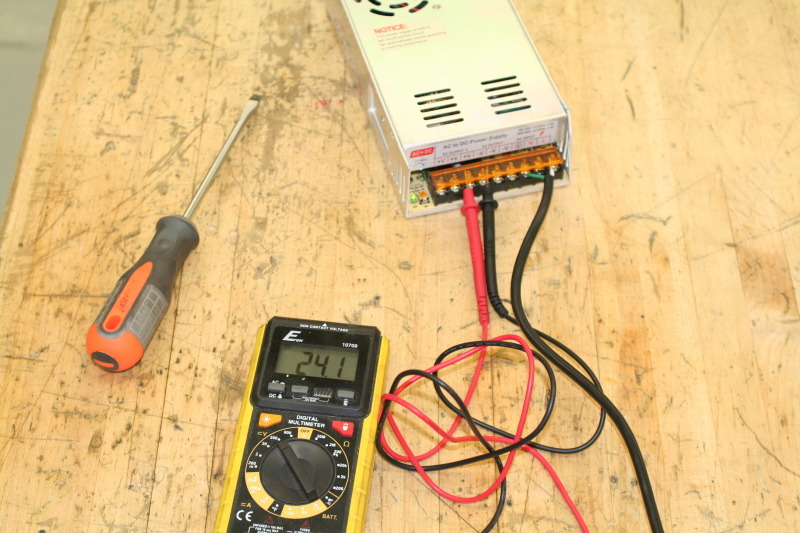 This power supply is a 24v, which is what the kit required so I hope thats right... Plugged it in and waited for it to blow up. It didn't, so I adjusted the potentiometer so it put out darn near 24 volts. That was easy! It looks like it got a little banged up in shipment but still seems to function fine.